Fostering dogs for PBSOC filled a void in my life. I’m a naturally active person, and I love to serve and take care of others. I have a full life with family, kids, and other volunteer projects, but I wanted to do more. I scoured the internet for ways to get involved in my community. That’s when I found PBSOC’s website, http://saccountydogs.com. I was captivated by the pictures of the shelter dogs, whose bios told of unique personalities and histories. I followed the stories of these dogs and felt relief with each adoption. 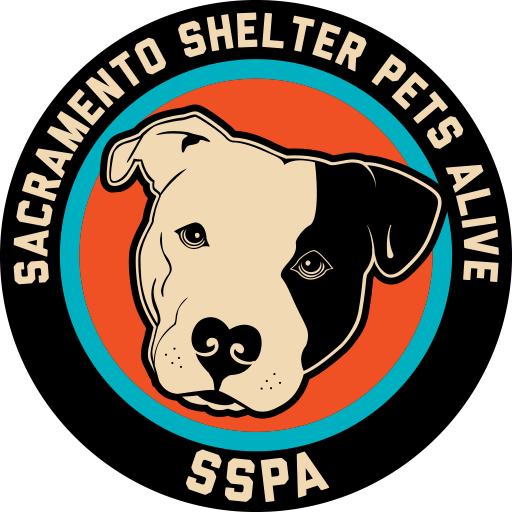 I became aware of Sacramento’s problem of pet overpopulation and abandonment. I learned how Sacramento County Animal Shelter is managing the issue by implementing best-practice measures in order to get these animals adopted. Our new county animal shelter is state-of-the-art. The dogs play in play-groups to reduce stress, and foster homes are being used like never before so that these dogs can have a better chance of being adopted. I wanted to help. My family had all been talking about how we would get a dog sometime later, once such and such a thing happens. None of us felt that it was the right time for a permanent pet because we didn’t want to feel tied down. I figured that fostering dogs was the perfect solution for us because we wanted a dog without the long-term commitment, and it would give me a worthwhile project to put my heart and hands into. Husband: Won’t it be too much for you? Me: I’m just going to be very honest and tell them all about our schedules and that we have kids in the house. They’ll pair us up with a dog that matches our needs. Husband: What if we don’t like the dog? Me: Then we take it back. Husband: How much does it cost? Me: Nothing. The shelter provides everything for free. Husband: Well, I’ll need to go to the pet store–can you make me a list? Me: No, the shelter provides absolutely everything for the dog. We don’t have to get anything. Husband: What if we want to go on vacation? Me: We just let them know ahead of time and arrange for pick up and drop off. With my family’s consent, we completed our foster application and emailed it to PBSOC and said that we could take an immediate foster. I picked up Turtle the following day. Turtle was a 10-year-old male pit bull who had been picked up by County Animal Care as a stray. He had been in the shelter for a while and was showing signs of stress. Ultimately, he stopped eating. His bio read that he was “an older gentleman who still has a playful spark.” Shelter volunteers found him to be a very kind dog who had obviously been loved and trained. He deserved to find a better ending to his life than by spending it getting depressed in a shelter. My family didn’t experience any challenges in helping Turtle to fit into our household. Turtle is a testament to why senior pets are truly the best; they are turnkey companions, so to speak. At first, Turtle was quiet and shy, but he greeted my husband and me kindly. His personality instantly came to life upon meeting my kids. He immediately came over to them, smiled broadly (I’ve never seen a dog smile like Turtle, before or since), and flopped over so they could pet his belly. After that, he started eating again. Over the weeks we had him, Turtle was truly a gentleman of a dog! He was polite, quiet, and very gentle. We all experienced joy in having Turtle as a part of our family. I absolutely loved not being alone, especially on my drives around town and on my jogs through the neighborhood. My husband loved that Turtle was calm, cool, and collected all the time and that he was an absolute breeze to walk. Really, walking him was like walking a cloud. My kids got a kick out of the fact that they could entice Turtle with toys and treats galore, but all Turtle wanted was for them to pet him. Turtle’s truly wonderful personality and habits made it easy to find a permanent home for him. Within weeks, his new family found him on PBSOC’s website and applied to meet him. They had a senior female dog who had recently lost her mate. She had arthritis, but like Turtle, still had a playful spark. The family was looking for a male, senior dog to bring into their home and to be a companion to them all. They mentioned that Turtle’s bio, which was updated after he had been in our foster home for a few weeks, described key elements they were looking for in a dog. Getting Turtle out of the shelter and into our loving foster home allowed him to blossom and relax, which got him adopted. Our take-aways after our first PBSOC foster experience: it’s a win-win for everyone involved! We got to take care of an awesome dog for a while. Turtle’s new family found the dog of their dreams. And Turtle? His new name is Grandpa, and he is living the life of a king, on a comfy couch with a new best friend, complete with snuggly blankets. We, as a family, invite you to foster dogs for PBSOC. Dogs really do make fulfilling companions, and your commitment can be as much or as little as you want. PBSOC will work with your needs to set you up with a dog to match. Have fun, do some good, and foster! Interested in fostering? Have questions? Visit our Fosters Needed page for more information, and email us at sacramentocountydogs@gmail.com.